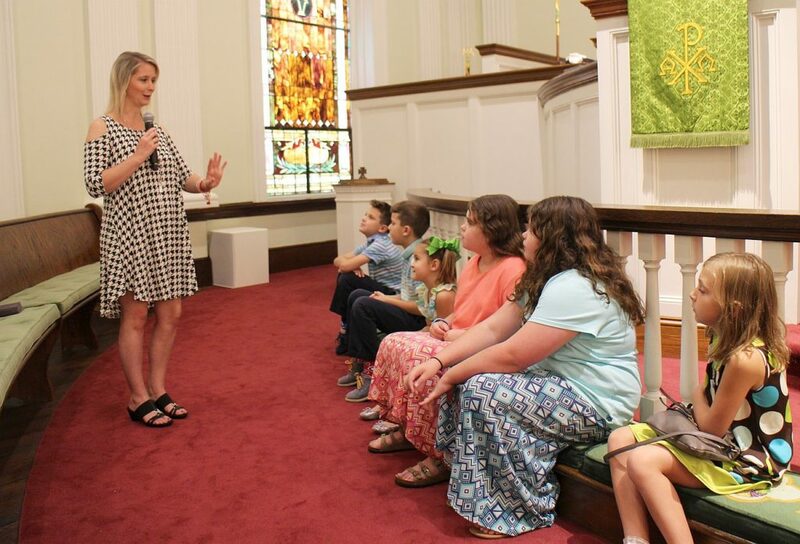 With a heart for Jesus Christ, First United Methodist Church of Wetumpka comes together as a family of God. Our purpose is to welcome and win our community to Jesus Christ. By encouraging spiritual growth, and fostering Christian fellowship, we give glory and praise to our God. However, when we’re confronted with personal disasters or with the daily horror stories of society’s ills, we may falter. Hope may seem to be unrealistic, naive optimism. Yet our hope is not in trends. Our hope is in the Lord of all creation and all history — a God who is still in charge and is actively at work transforming the world. How do we know this? The Bible is a book of God’s promises. It may seem to be about the past, but its outlook is toward the future. From promises in the Book of Genesis to Abraham and Sarah for a new land, a son, and countless descendants (chapter 17), to promises in the Book of Revelation of a “new heaven and a new earth” (21:1), God was helping biblical people live into the vision of creation’s ultimate goal. The Old Testament (Hebrew Bible) uses the word shalom to describe God’s future. We often translate this word as “peace,” but it means more than that. Shalom means a world of plenty, of personal and interpersonal harmony and righteousness, of liberation, of just economic practices, and of ordered political relations. For Jesus, the shalom of God was the kingdom of God, the coming reign of God in human hearts and in all human affairs. In fact he proclaimed that this reign already “has come near” (Mark 1:15) and that the decision about one’s part in it was an urgent necessity: “Strive first for the kingdom of God and his righteousness” (Matthew 6:33). In the resurrection of our Lord, his amazed followers recognized that God’s reign was breaking into their lives: “So if anyone is in Christ, there is a new creation: everything old has passed away; see, everything has become new!” (2 Corinthians 5:17). The old regime of hostility, greed, injustice, and violence was obsolete and dying. The new order was coming in: “See, I am making all things new” (Revelation 21:5). For those who see with the eyes of faith, it is apparent that our common human future on earth is indeed the promised reign of God. There are signs of the coming Kingdom all about us — from random acts of kindness by individuals to the worldwide family’s growth in tolerance and cooperation. In particular we see the church as a sign of the Kingdom. Imperfect as it is, the community of believers nevertheless provides the best clue we have to God’s vision. Day after day, we see deeds of Christian courage, of compassion and reconciliation, of integrity in the face of temptation, and of witness for truth and justice. And what is our role — to sit back and simply wait for God’s kingdom to arrive? By no means! We are to pray earnestly for the Kingdom to come on earth (Matthew 6:10). We are to watch faithfully for any signs of its coming (Matthew 25:13). We are to put away our old selves and clothe ourselves “with the new self, created according to the likeness of God in true righteousness and holiness” (Ephesians 4:24). As renewed people, we’re to do “the work of ministry” (Ephesians 4:12). As Easter people witness and serve, we take part in the Kingdom’s dawning. Thy Kingdom come! 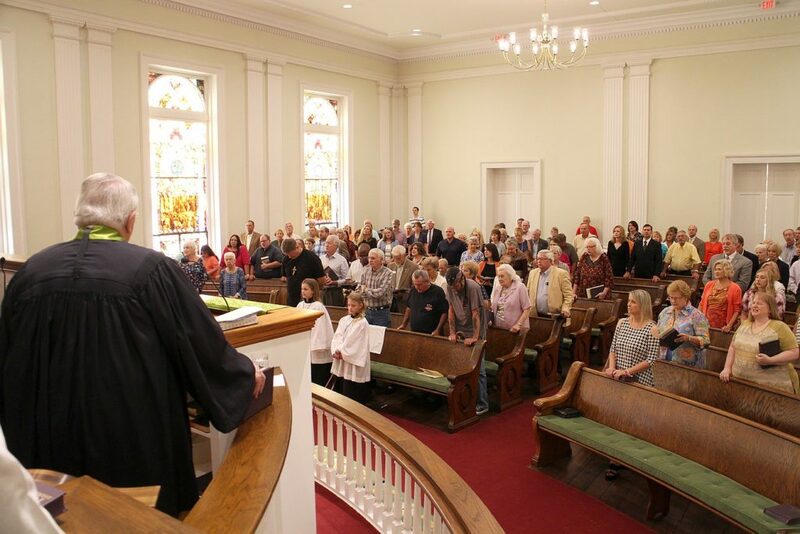 A typical worship service at a First United Methodist Wetumpka church may include a greeting and opening prayer, time for people to greet each other, scripture readings, silent prayer and meditation, an offering, the Lord's Prayer, a children's message, the sermon, special music and hymns, and a closing prayer. Communion may also be served. 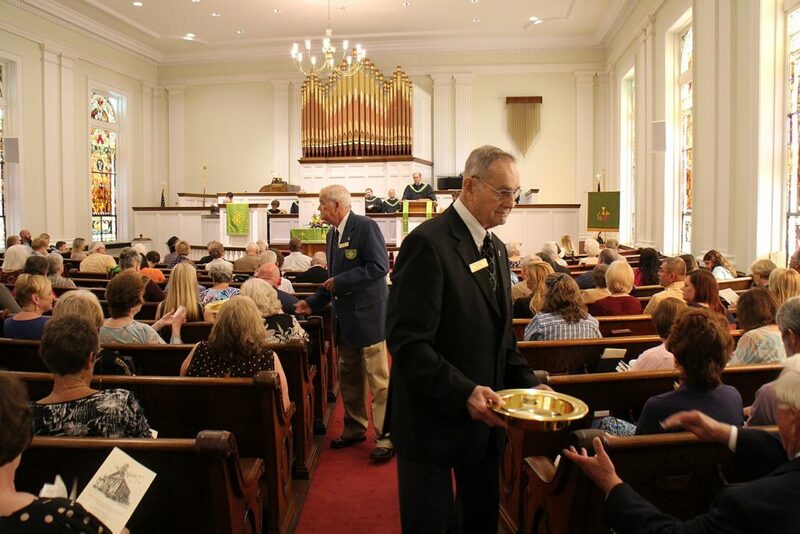 All are invited to celebrate communion, but you can choose whether or not you wish to participate. 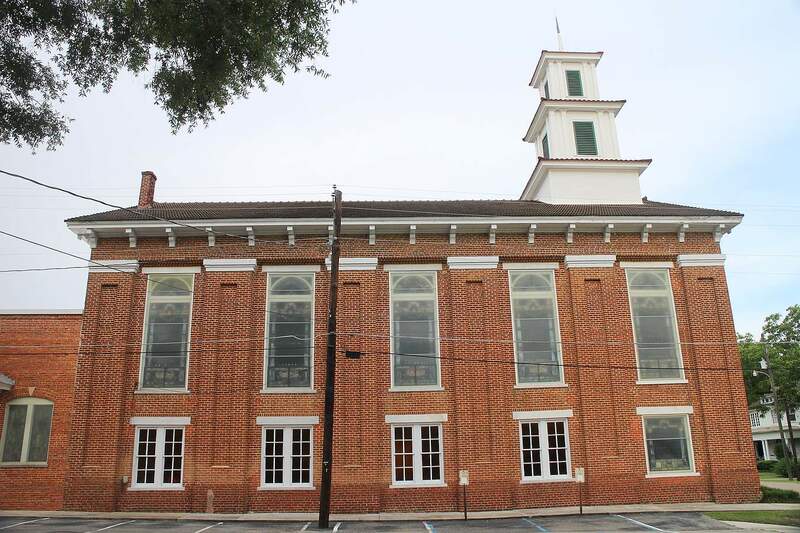 Methodism in Wetumpka can be traced back as early as Alabama’s 1819 statehood. 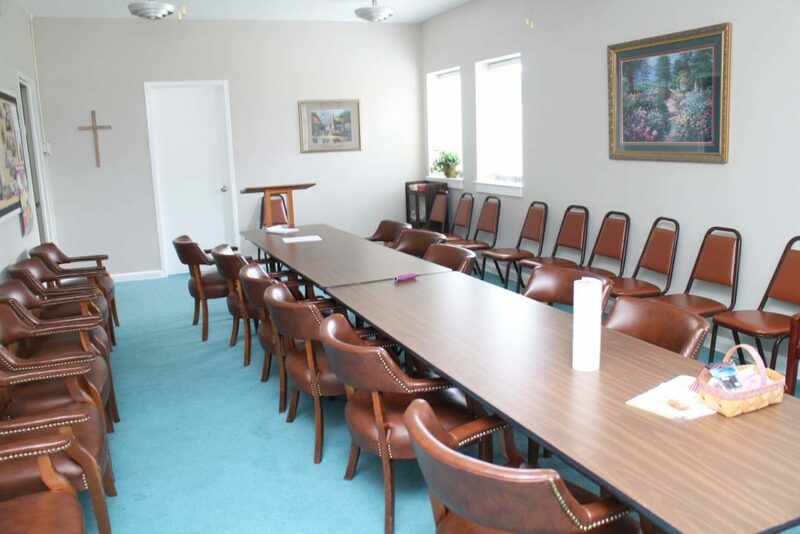 Circuit riders served local congregations as early as 1820 in private homes and outside in camp-style meetings. 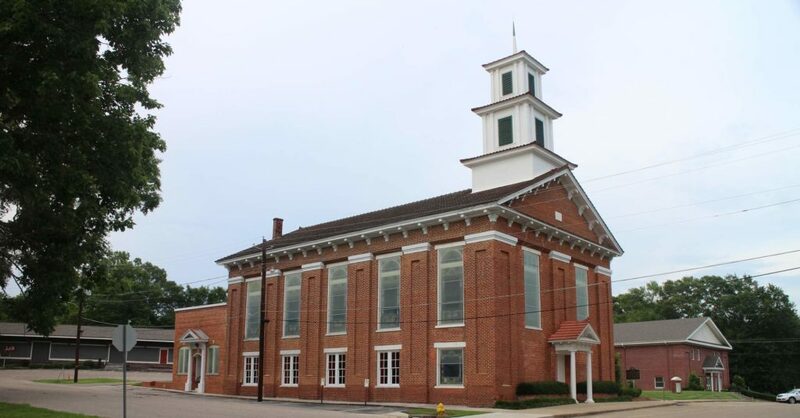 In 1837, the Wetumpka Station was designated and, over the years, has been known as the Methodist Episcopal Church South, the First Methodist Church and, as it is known today, the First United Methodist Church. 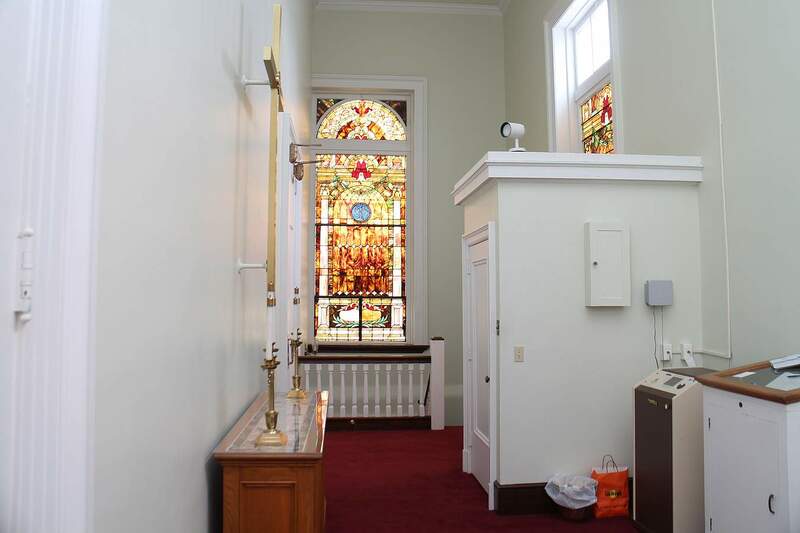 The first-known Methodist house of worship in the city was located on West Tallassee Street before moving to the wooden frame building on Tuskeena Street, across from where the Family Life Center now stands. The construction of the present Sanctuary Building began in 1853 and it was completed in 1854. It is essentially the same as when built. The bricks were donated and the work was performed by slave labor. 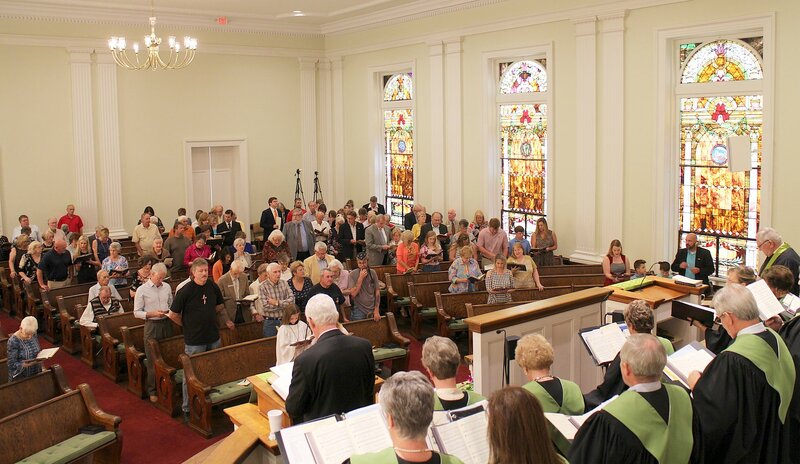 In the Sanctuary, there was one center aisle with two side aisles. 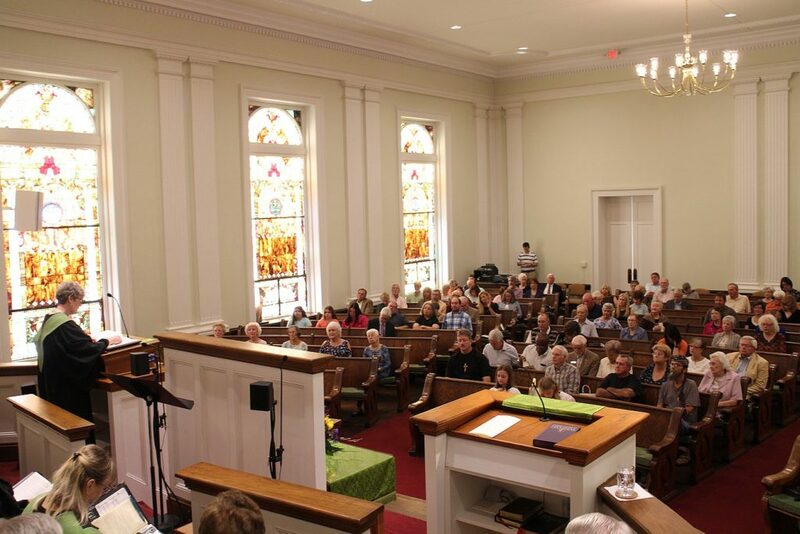 The men and women sat on opposite sides of the sanctuary, which had a seating capacity of 500, since there was no chancel area. In the front, there was a small organ on the left and a large stove on right. The Lancaster Memorial Bell was installed in the steeple in May 1901. The building was remodeled in 1909. 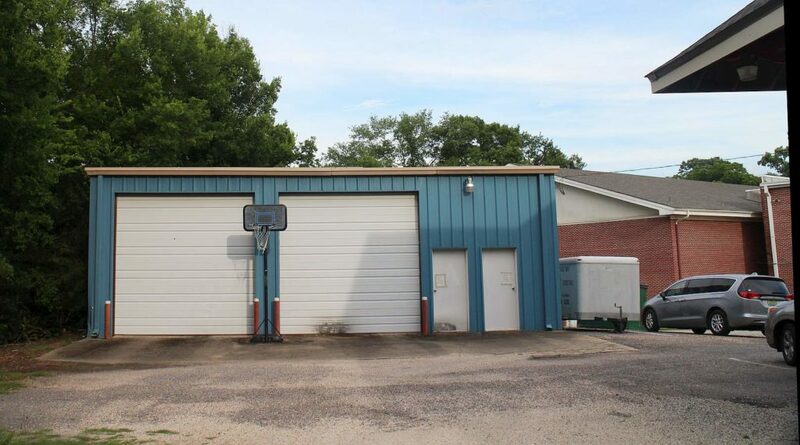 Where there had been two front doors, one center door was installed. 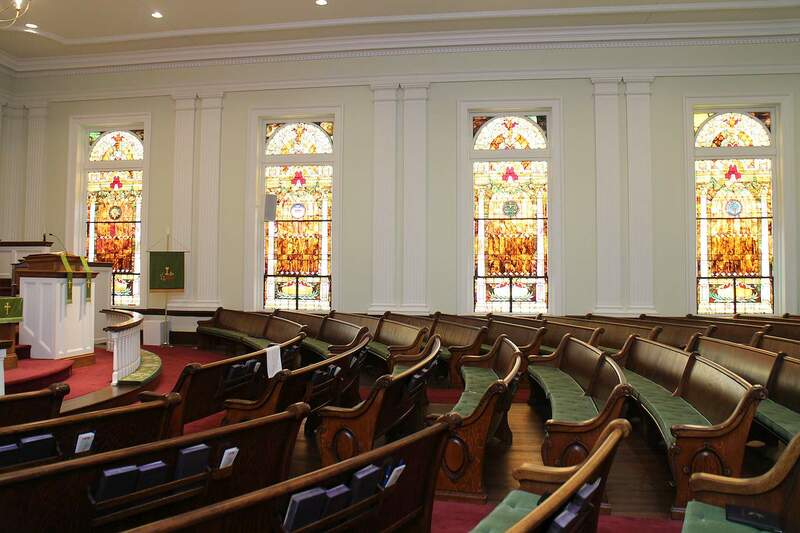 Beautiful stained glass windows replaced the old clear glass and new light fixtures were added. Mosaic tile was laid in the Vestibule. 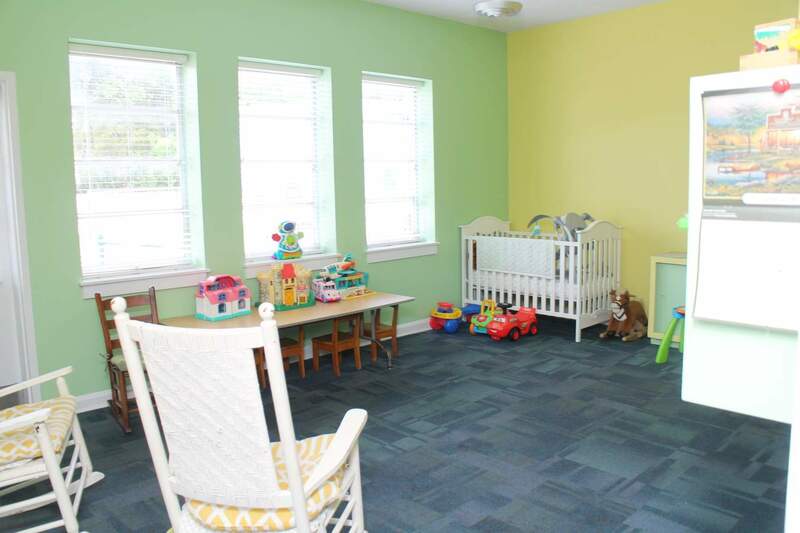 The cracked walls and painted columns were replaced with new plaster and pilasters of semi-Doric design. The pulpit, chancel rail and all woodwork were finished in a dark oak. The golden oak organ was moved to the basement, a new heating system was added, and, in 1910, a lovely pipe organ was installed. 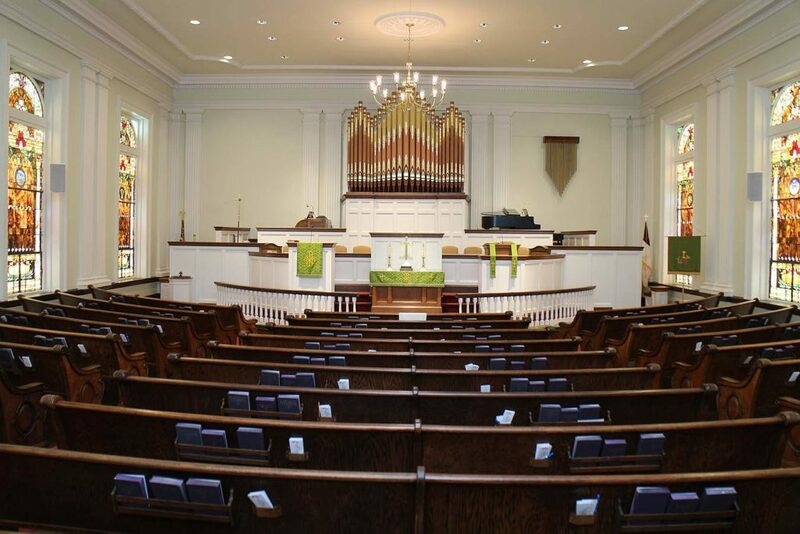 The plain, straight back pews were replaced with curved, embellished oak pews. 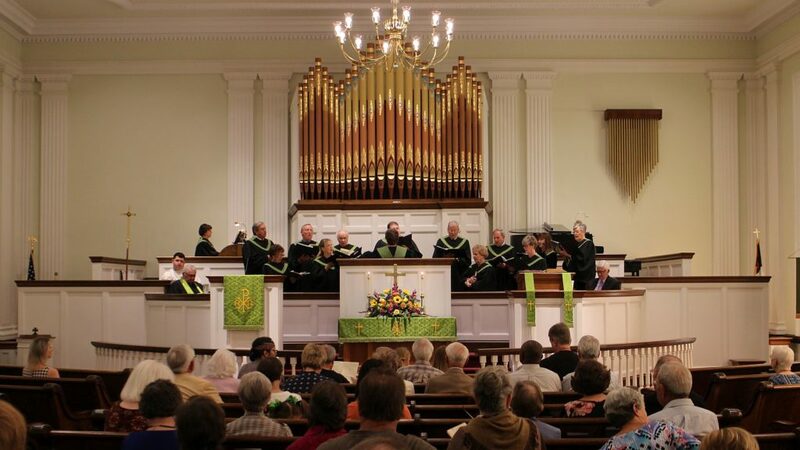 A brass rail framed the choir loft and, later, a pleated maroon velvet curtain was hung from the rail. 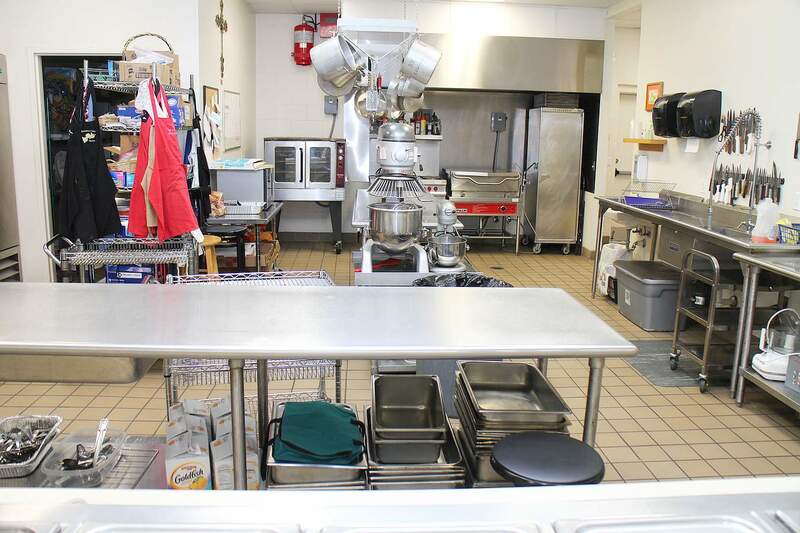 In addition to the Sanctuary, the property has been home to parsonages, the Education Building and the Family Life Center. 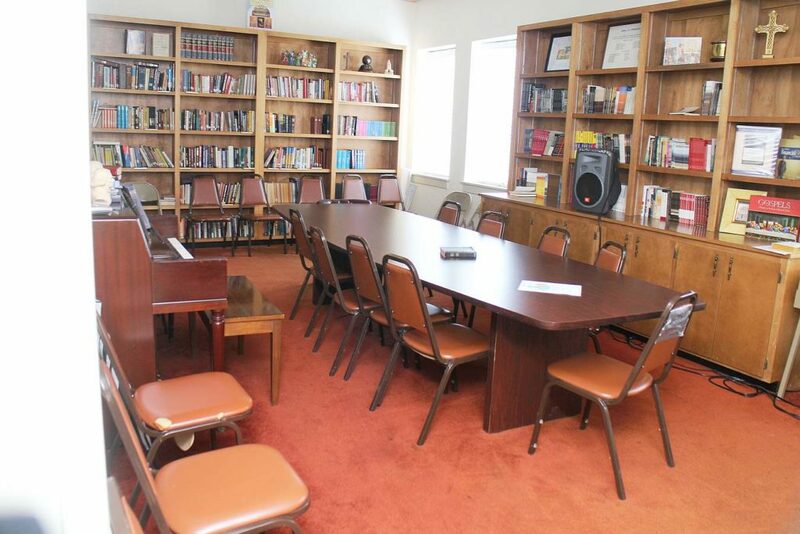 The 1957 Education Building houses Sunday School classrooms, a nursery, administrative offices and an archives room. The most-recent parsonage was sold and moved to provide the space for the Family Life Center, which was dedicated in 1999. 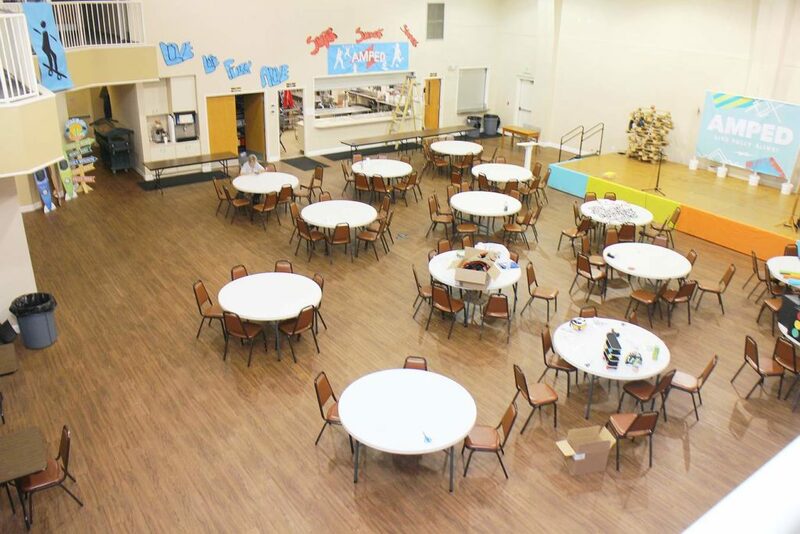 The FLC has served as a multi-purpose space for numerous gatherings, classrooms and Wednesday night suppers. A major renovation to the Sanctuary was undertaken in 1972. 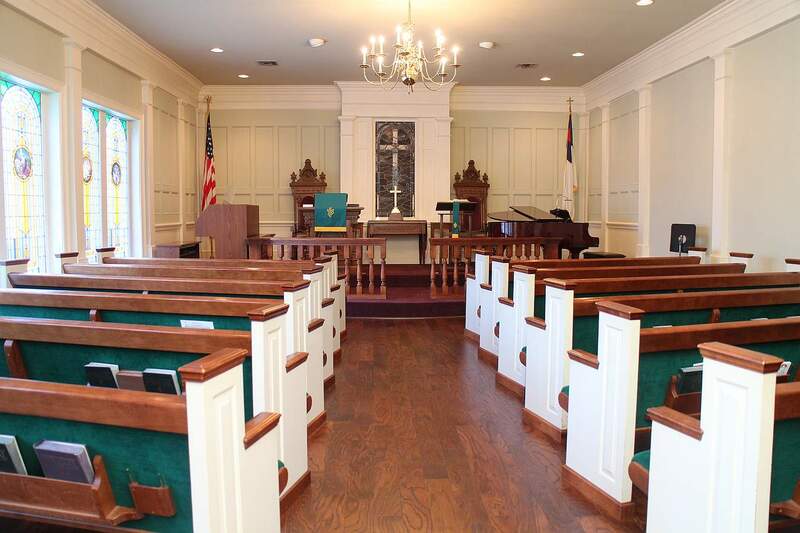 The striking results were evident: sunlight, softened by the stained glass windows, shone on newly-painted woodwork and walls, highlighted the gold carpet and was reflected in the warm glow of the refinished oak pews. 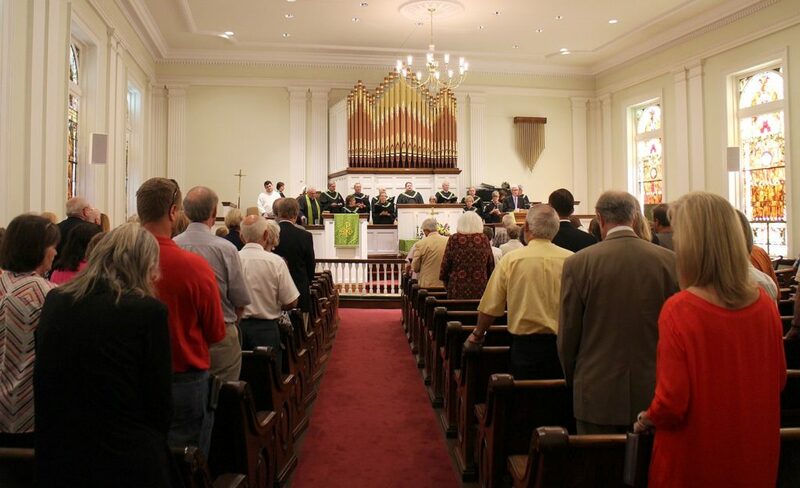 The chancel was remodeled to make it more functional and provide room for a larger choir. 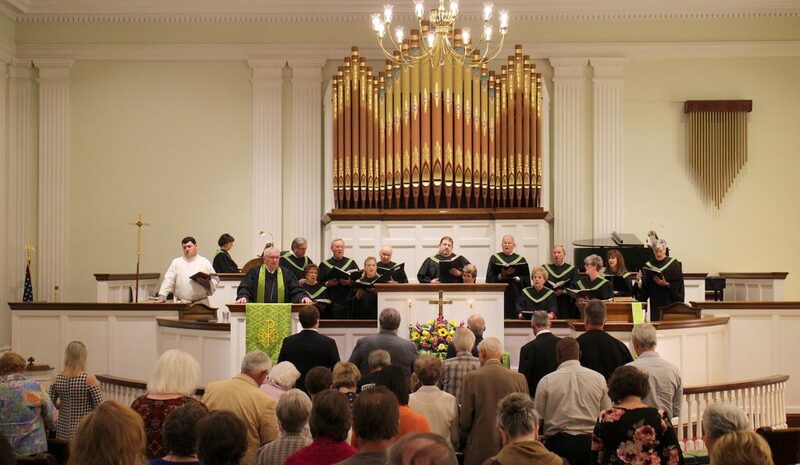 The pulpit was moved from the center and was balanced by a lectern on the opposite side. 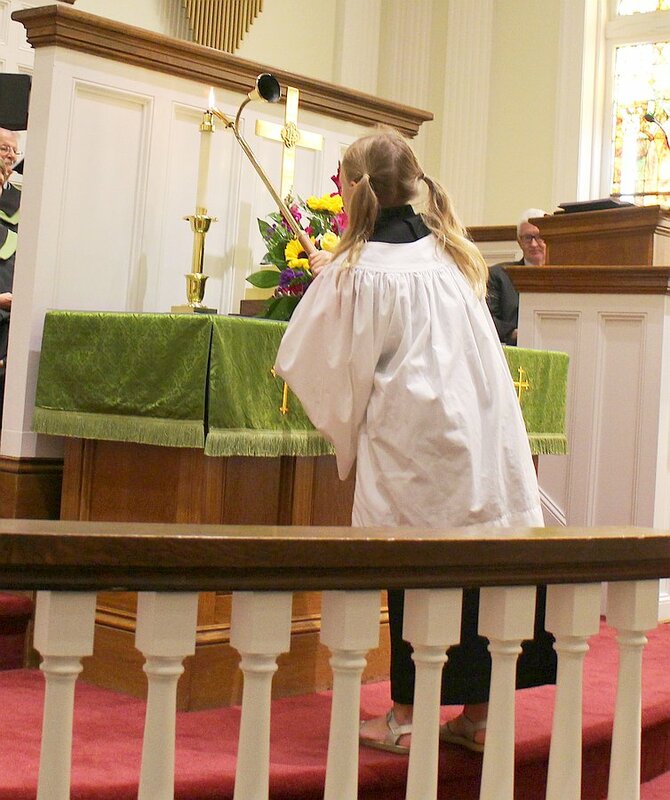 The communion rail was divided, giving direct access to the altar, which, properly, became the dominant feature of the Sanctuary. Apart from replacing the gold carpet with maroon, the Sanctuary remains the same today as it has been since 1972. 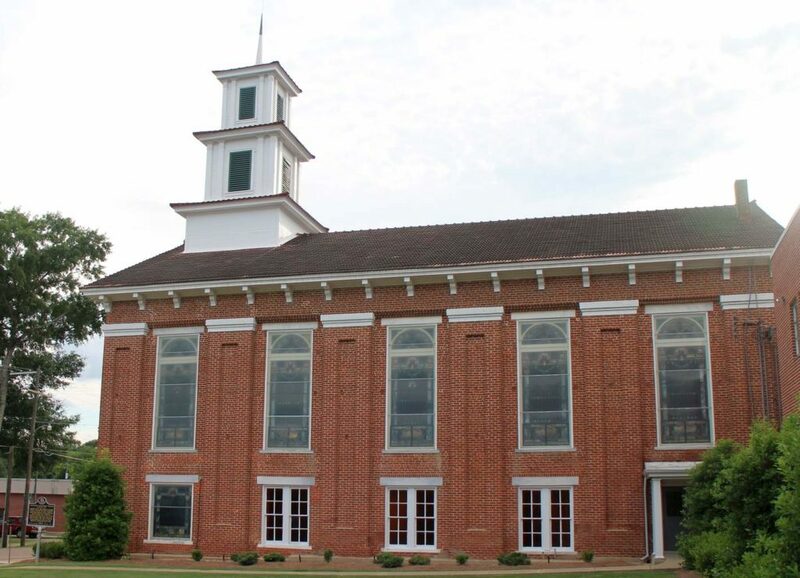 In 1982, a memorial carillon was placed in the Narthex. It played hymns daily as well as special chimes for weddings and tolls for funerals. In 2009, it was struck by lightning and replaced with a new carillon. The organ with its “pencil-style” pipes was restored in 2006. The decorative pipes were deemed by the restoration company as some of the most intricately-adorned in the Southeastern United States. 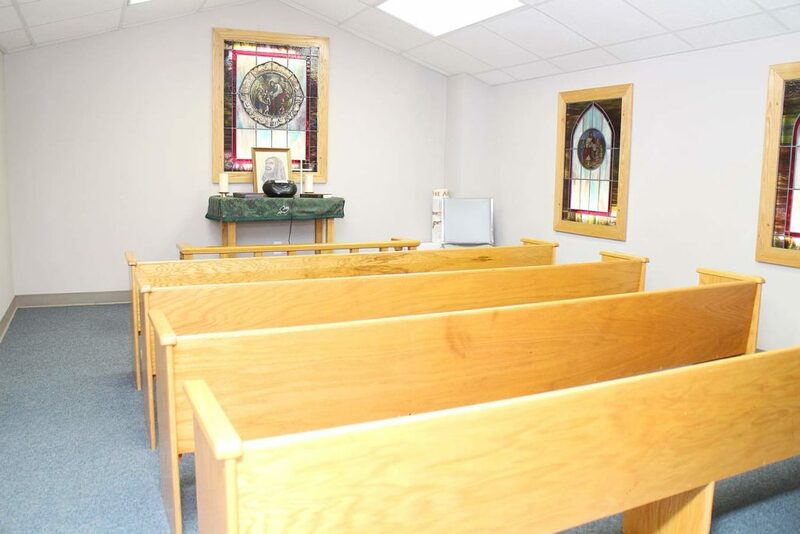 The Chapel was dedicated in 1984. 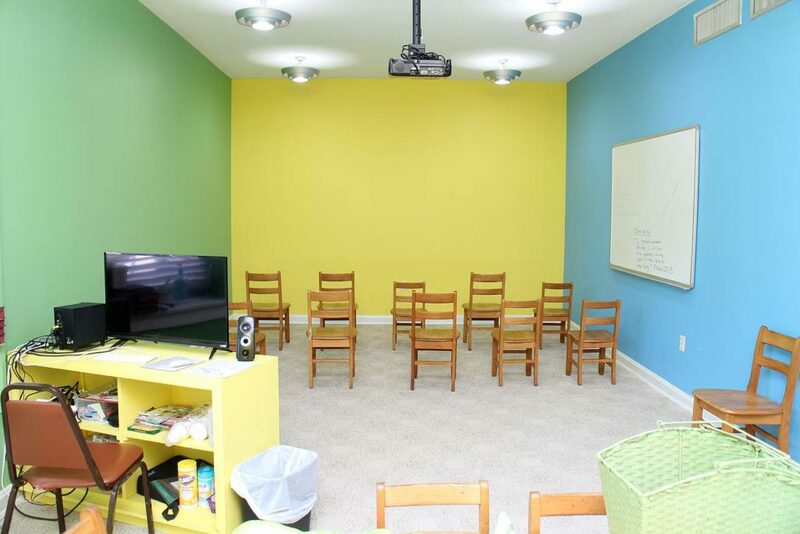 It occupies the space that was known as the J. Bruce Airey Men’s Sunday School Class. The class still meets in the Chapel, which was designed to mirror the appearance of the Sanctuary and employed some of the antique chancel furnishings from the pre-1972 Sanctuary renovation. 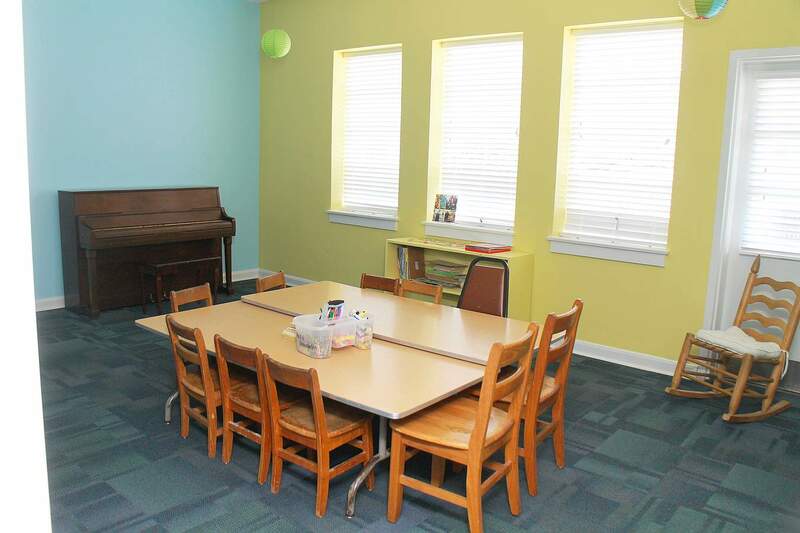 In 2009, a new grand piano was purchased for the space. 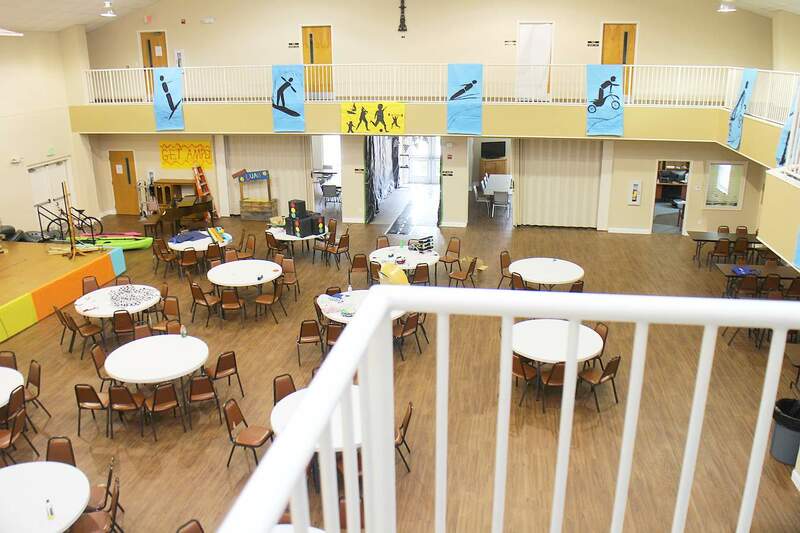 Also, in 2009, the Fellowship Hall, originally known as the basement, was renovated. 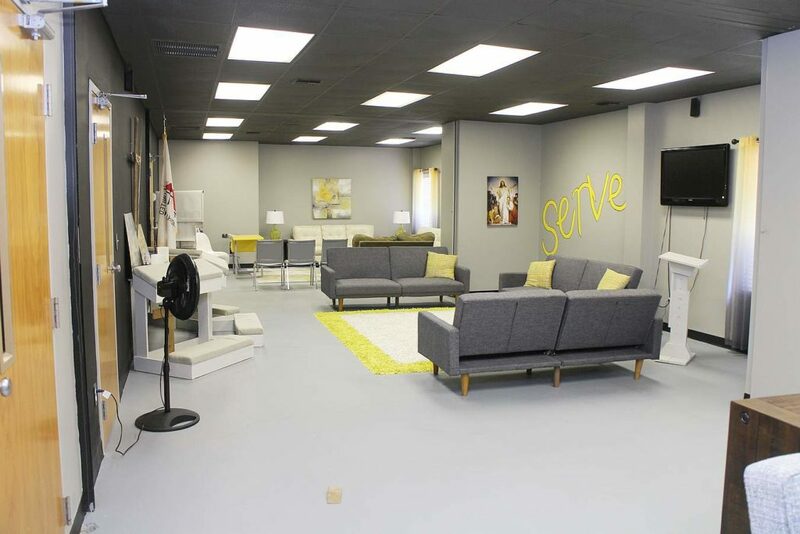 A new floor, crown moulding, chandeliers, kitchen reconfiguration, coffee bar and barrier-free restroom have made it a lovely, functional space for receptions, teas and other gatherings. 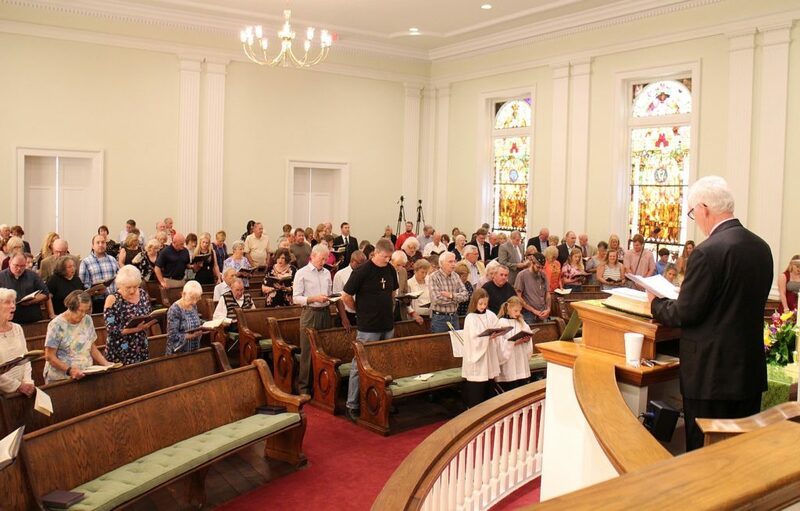 In October 2009, the trustees approved renaming the space Wesley Hall, honoring the founder of Methodism in America. 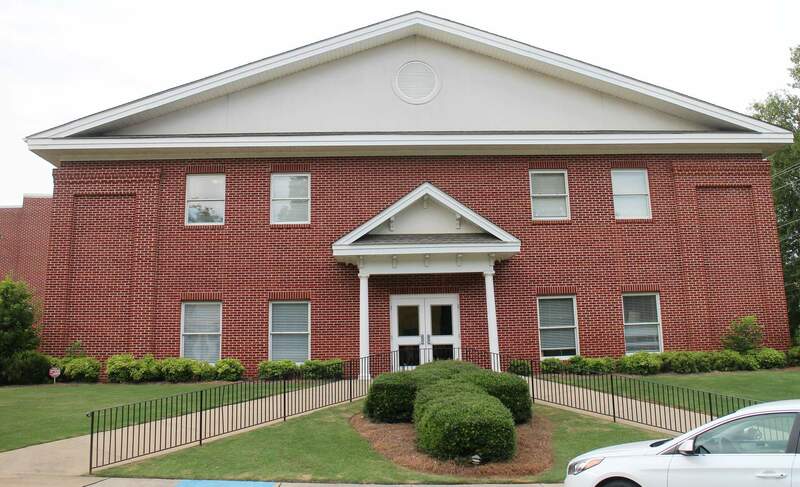 We look forward to welcoming you to First United Methodist of Wetumpka!.